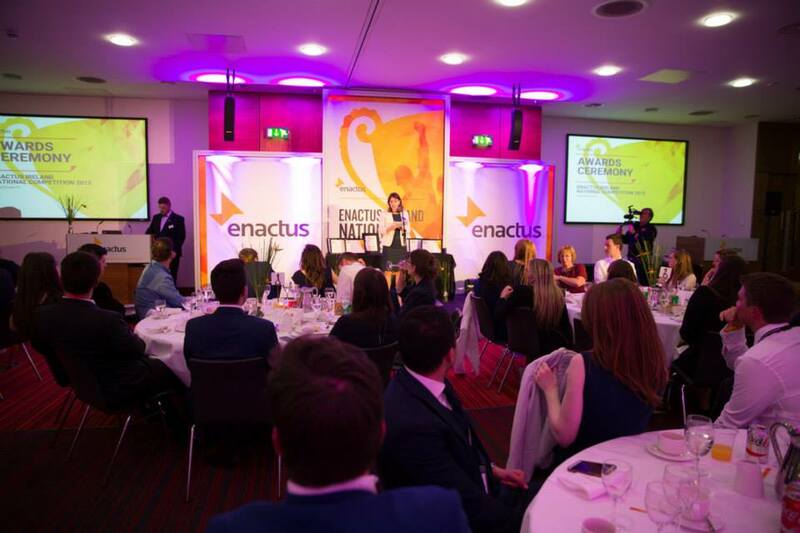 This year’s Enactus Ireland National Competition, which took place on 28 May at Chartered Accountants House in Dublin, was a vivid showcase of the partnership between the business and academic worlds that makes Enactus so special. 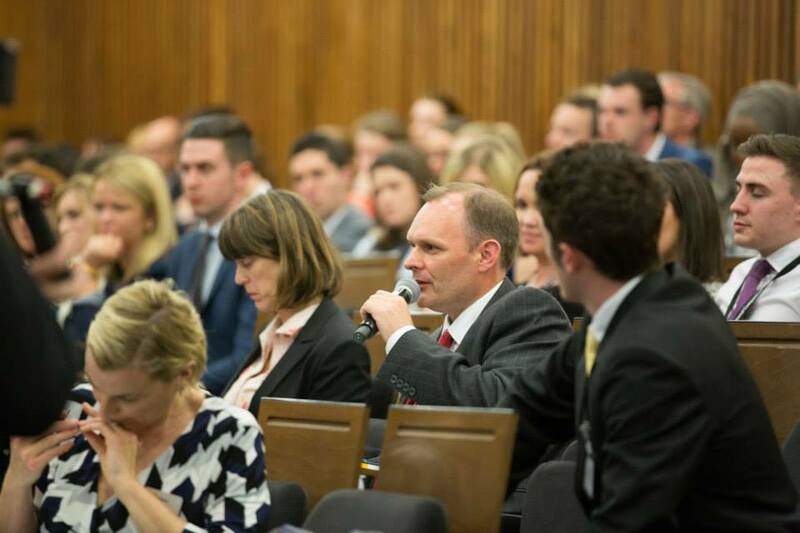 In addition to the 40+ companies that sent judges, the list of corporations who played a significant role in the success of the competition is long: Chartered Accountants Ireland hosted the event and the nearly 250 attendees at their offices; Event Partners helped coordinate the event; Gibney Communications and The Irish Times managed the PR; KPMG sponsored bursaries for Faculty Advisers and students, and provided staff as volunteers; Musgrave Group provided the refreshments for the reception; KBC Bank organized the event photographer; AIG supplied the branding and signage materials; and don’t forget that Unilever donated ice cream! Seven teams competed at the country’s fourth national competition, with 38 executives judging the opening round narrowing the field to the final four teams. After their briefing, 29 of the county’s top business leaders had the challenge of selecting the team who will represent Ireland at the Enactus World Cup this October in South Africa. After the competition, while judges deliberated, attendees had the chance to network and celebrate together at a champagne reception followed by a beautiful dinner. 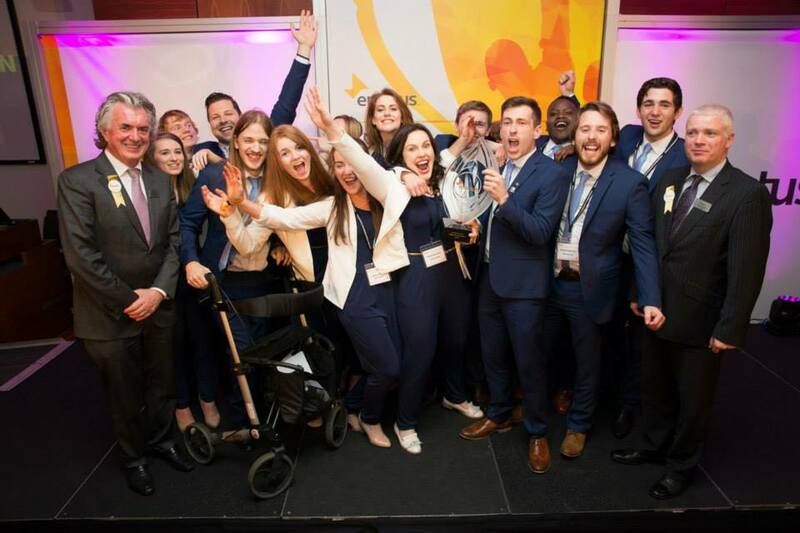 Then, finally, it was time for the Awards Ceremony, where competing teams and faculty members were recognized, and the winners of KPMG’s bursary program, which provides the resources for select students to attend the Enactus World Cup, were announced. Finally, it was time for national champion announcement: the team from Maynooth University was victorious, wowing the judges with four different projects including their Access Earth initiative, an accessibility information platform that allows users with physical disabilities to plan travel and address accessibility issues, empowering them to overcome their physical challenges and live their lives to the fullest. In addition to the competition, the daylong event offered attendees a unique insight into the topic of socially minded leadership with students having the chance to interact directly with a panel of experienced thought leaders: Edel Clancy of Musgrave Group; Mike McGearty of Cartrawler; George O’Connor of Enterprise Rent-A-Car; and Prof. Aileen Pierce of University College Dublin and academic representative to the Enactus Ireland Board. They also had the opportunity to hear from keynote speaker Daire Hickey, Co-Founder of the Web Summit, who encouraged all of the students to continue on their entrepreneurial journey. 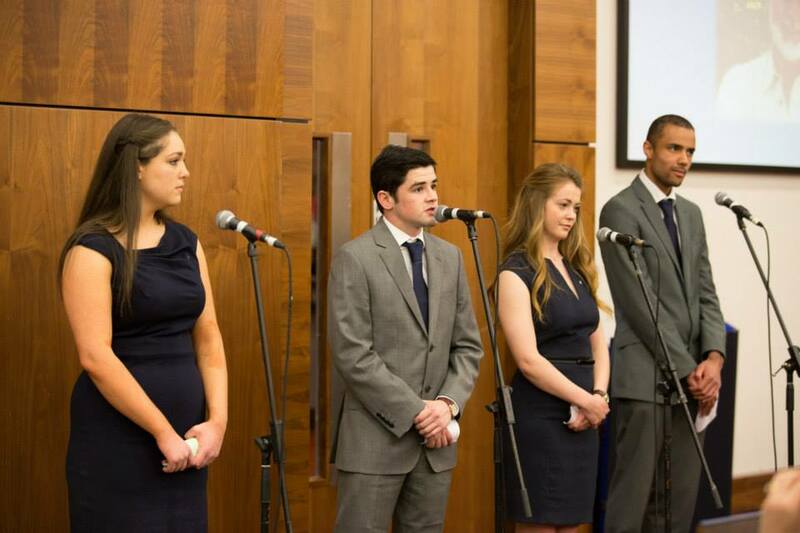 Other highlights included a Faculty Advisor Forum, facilitated by Prof. Aileen Pierce and representatives from Enterprise Rent-A-Car; and a Top to Top Forum, chaired by Enacuts Ireland Chairman Terence O’Rourke and attended by board members and all senior students from the competing teams. The National Champion team was featured in a great article by Business and Leadership; check it out here!